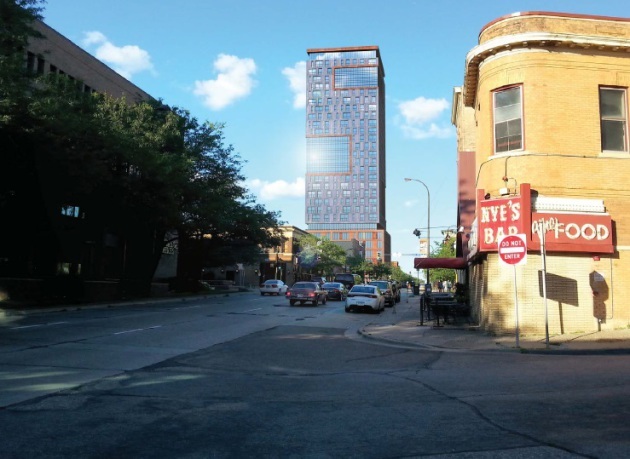 The latest plans for a 28-story apartment tower in northeast Minneapolis will be presented Tuesday night for the third and final meeting of a Nicollet Island-East Bank Neighborhood Association task force. 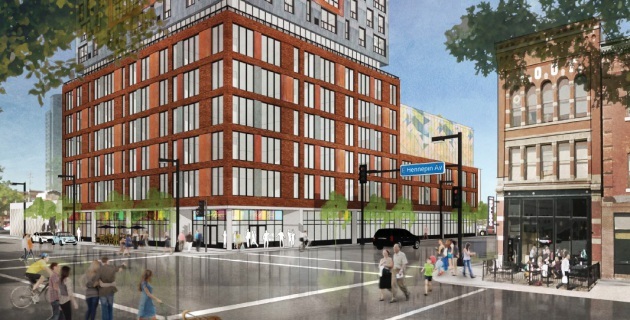 Mortenson, which is developing the site in cooperation with U.S. Bank, will also seek feedback from the Minneapolis City Council’s Committee of the Whole on Thursday. 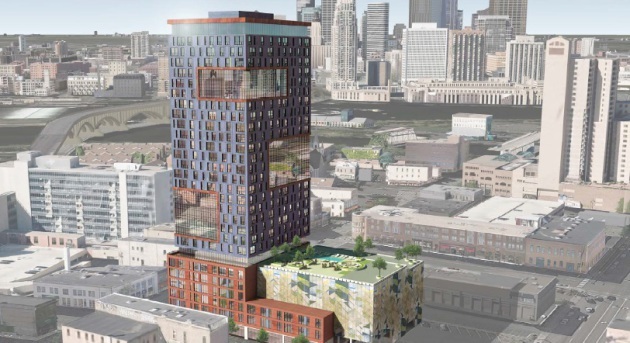 Renderings by the Cuningham Group for what’s being called 333 Hennepin show a glass-and-metal 22-story apartment tower that will sit atop a wider six-story base with more apartments, parking, retail and resident amenities. 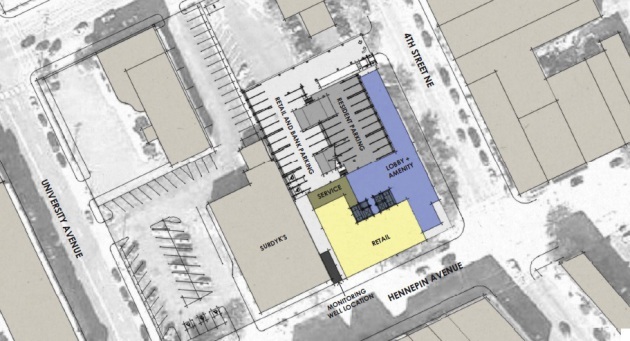 Several large sections of glass will wrap the corner of the building and “reflect the movement of the nearby river and iconic feel of a grain elevator,” according to the developer. The site currently has a U.S. Bank branch. Here are more renderings of the project.